You may have noticed that in this blog I occasionally mention my utter love and lifelong devotion to distorting just about everything. You know…like here, here, here, and here. Don’t judge, it’s a sickness…I can’t help it. You may have noticed a bit of fun sidechain compression in this mix as I talked about in the last post. Need a refresher? Right. So, I knew going in to this mix that I wanted a spacey yet aggressive vocal sound. I set up some longer delays with plenty of feedback and then (here’s the trick) distorted the hell out of the delay return for that extra grit. Now a little before and after of the delay return only. The “without distortion” sample actually has a little fuzz already on it as I’m driving the wonderful Massey TD5 input quite hard. (My absolute favorite delay plugin; go buy it! Yes, this is an advertisement for them. No, I’m not getting paid to make it!). 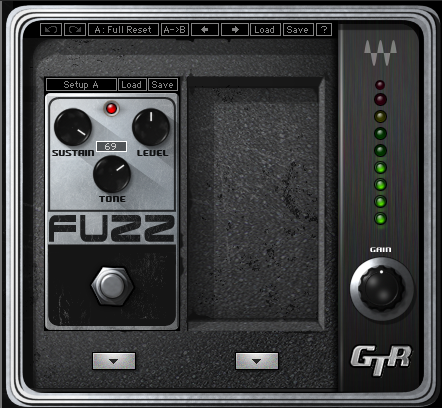 The “with distortion” delay return has additional distortion via the Waves Stomp Box plugin for the goo-ey grit. Oh my, do I ever love distortion. Hear how it makes that vocal delay just…I don’t know…awesome-er?! The moral of the story is don’t be afraid to use distortion on effect returns to make sounds more aggressive, to take up more space in the mix, and to “fill in” empty spaces.